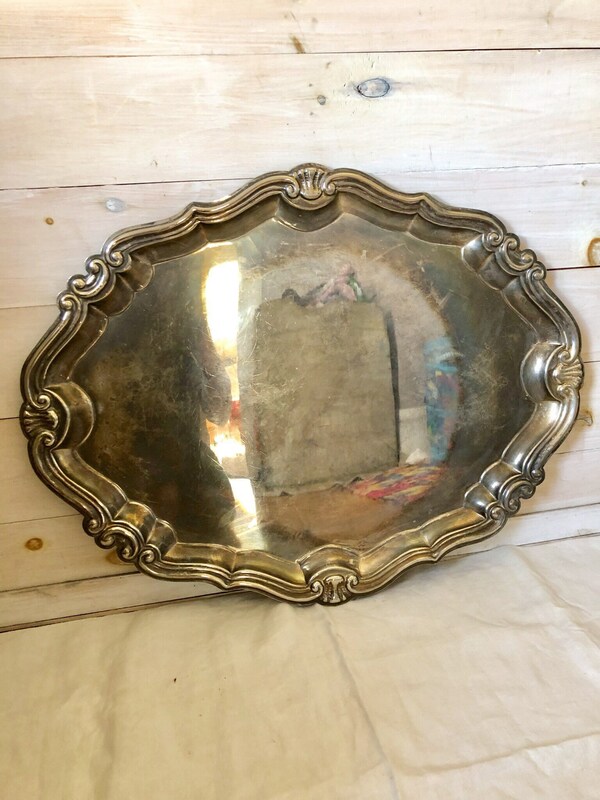 Nicely size large silver tray with a simple but pretty detail to it. 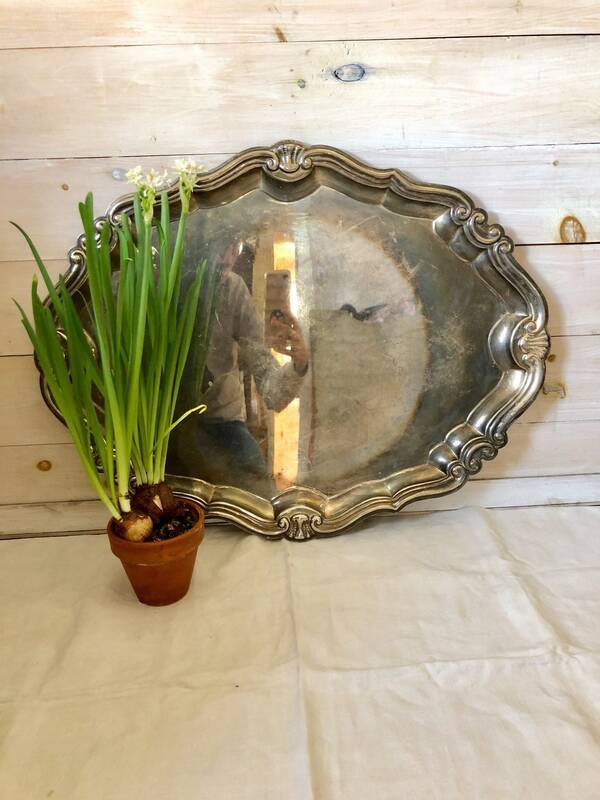 Good condition, some wear and tarnish expected with age. 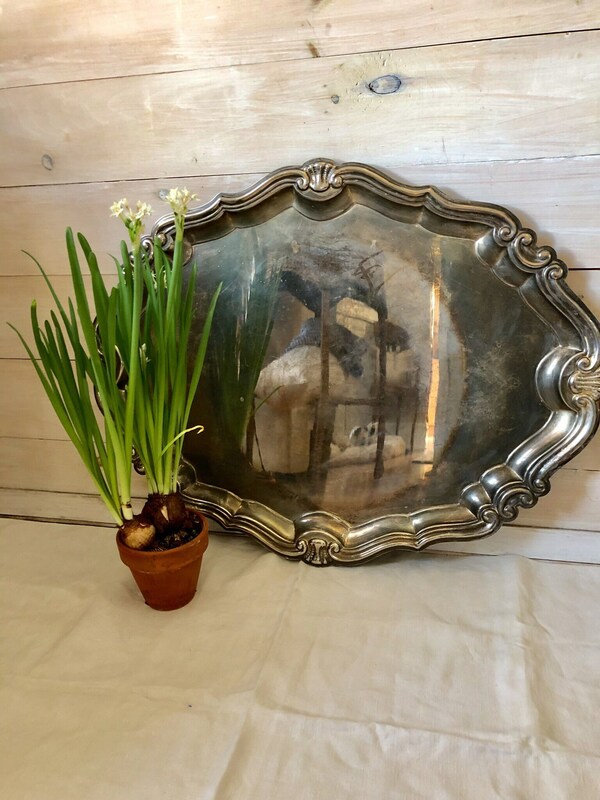 Would make a great coffee table tray or simply use it for serving and dining.